We hope you love the books we’ve shared here! Just so you know, TennisCompanion may collect a small share of sales from some of the links on this page to help keep this site running. 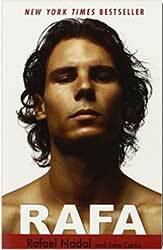 If you’re looking for a new tennis book then you’ve come to the right place. We’ve compiled the most comprehensive list of the best tennis books ever written by some of the biggest names in our sport and organized them so you can easily find a book that meets your needs. At the time of creating this resource, every book on this list had at least a 4-star rating, so we’re confident you’ll find a book that you love. Here’s a look at the categories of books we cover – click any of the following links to jump to that section of the article or keep scrolling to browse them all. Whether you’re just getting into tennis or you’ve been playing for years, we believe there’s a book out there for just about everyone. 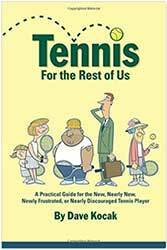 At TennisCompanion, we’ve read more books that we can count. 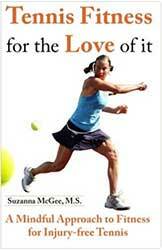 Unfortunately, finding tennis books was never all that easy and finding a good book was even harder. Over the years, we’ve kept a list of our favorite books, but we wanted to take that list a step further, so we’ve come up with a complete list that includes our favorites as well as other books members in our community have read and loved. As you’re scrolling through you’ll find certain books tagged with “TC,” which are some of our all-time favorites. We hope you enjoy our list and if you have any that you think we missed we’d love for you to share in the comments at the very bottom. Are you buying a book as a gift? If so, you may want to head over and check out our article that includes 100+ tennis gifts for a few more ideas. With 110 books on our list, there’s a lot to look through, so we’ve taken some time to hand pick 15 of the very best tennis books that stand out from the crowd. If you’re in a rush or simply looking for the cream of the crop, then this section is for you. In tennis or any sport, understanding the rules of the game is fundamentally important to ensure you’re playing the game fair and how it was intended. 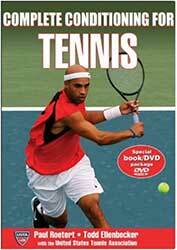 For many players, the rules of tennis are learned slowly over time through tennis lessons, practice and competition. However, in my experience, few players take the time to fully read the rule books, which can put you at a disadvantage, particularly in competition if you don’t know how to handle a specific scenario where you could give up a point unnecessarily. If you haven’t had the opportunity to read through the rulebook I’d highly suggest you do at some point. In this section, we cover a wide range of rulebooks per the different governing bodies in tennis including the USTA, ITA, ATP, and WTA. With ancient forms of the game dating back thousands of years, tennis has a rich and storied history that has been captured diligently by only a handful of books. 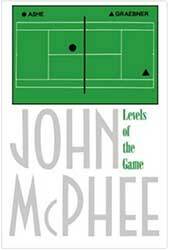 As avid tennis players, we have a great appreciation for our sport and these books have provided us with meaningful opportunities to expand our knowledge and appreciation of the game of tennis. Whether you’re new to the game or have been playing for years, the following books are invaluable resources for learning more about the origins of our sport and for providing detailed accounts of more recent years in tennis. They also make great gifts for bringing younger players up-to-speed on past years and players who have played the sport before them and are often referenced by commentators in live matches. Last but not least, this section also serves as great coffee table books for striking up a conversation. 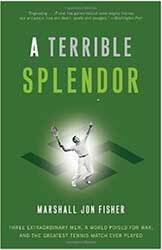 Even the casual tennis fan can enjoy pouring over these types of books for a few moments, while the tennis fanatic will have a hard time putting them down. Books about tennis players are easily the most popular tennis books ever written with more copies sold than in any other category. As fans, we can’t help but want to learn more about some of the most celebrated players in our sport and there’s no greater insight that can be provided than through a memoir, autobiography or biography. 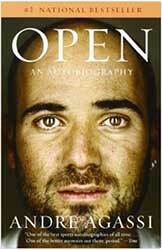 From Andre Agassi’s hugely popular “Open,” to Jame Blake’s remarkable story “Breaking Back,” and classics like Arthur Ashe’s “Days of Grace,” this section of books provides detailed accounts of the lives and experiences of some of the most popular athletes every to step foot on a court. 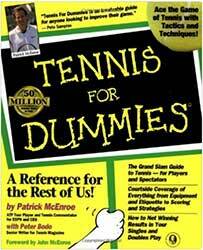 If you’re looking for an entertaining tennis book then this section is for you. 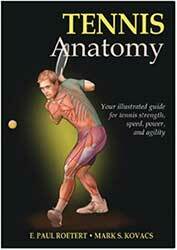 If you’re new to the sport and looking for some books on how to play tennis and the fundamentals then this section is for you. 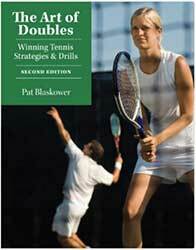 As a beginner, these books will help provide you with the necessary foundation to be successful in tennis. From scoring to equipment, strokes, how to improve your game and just about everything in between, these books are a great starting point for beginners or players simply looking for a refresher on the fundamentals. We also believe these books have the potential to help flatten the learning curve for new players, which can be quite steep and therefore discouraging. Often times, the first place new players will turn is private or group lessons when they’re first starting out with tennis. While lessons are a fantastic way to get started, there is only so much an instructor can cover in an hour, so these books provide a great way to fill in the gaps and accelerate how quickly you learn the game. What better way to introduce kids to the sport of tennis than through a bedtime story? If you love tennis and you have kids, there are a handful of great fiction books that cater to different ages of children from babies, to toddlers, preschoolers, and young children, while also appealing to the adults that help read them. These books for kids are a fantastic addition to any child’s collection of bedtime stories and also make great companions for vacations or gifts for friends and family. If you’re looking to improve your game and take things to the next level then you’ve come to the right place. While things like stroke development and technique are fundamental to achieving success on the court, players stand to achieve greater levels of success if they learn to treat their matches like a chess match. In other words, tennis is as much a game of strategy as it is a physical battle between two opponents. More often than not, the strategic end of tennis and the specific tactics players can use to win more matches are left out of lessons and clinics where the focus tends to be geared towards technique and stroke development. At TennisCompanion, we’ve often found that books about tennis strategy are often eye-opening to intermediate and advanced players. 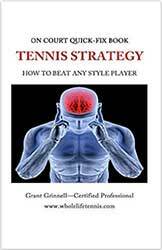 If you’re feeling comfortable with your strokes, but you don’t have a game plan when you step out on the court then it’s likely you’d benefit from a book on tennis strategy. 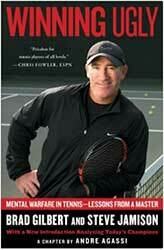 As any top player will tell you, tennis is just as much a mental game as it is physical. Have you ever started off a match where you’re on fire in the first set, only to tank things in the second and third? How about getting overly frustrated at a poor line call by an opponent, double faulting on game point or simply stepping out on the court some days and you can’t seem to find your strokes. If you’ve played tennis for any length of time you’ve likely experienced first hand how a poor mindset has the potential to completely derail a match and unfortunately make tennis significantly less enjoyable – after all, it’s just a game, right? Unfortunately, many players fail to recognize their game can benefit from an honest look at their mental and emotional state during tennis matches or they fail to realize there are resources and proven strategies available to them. 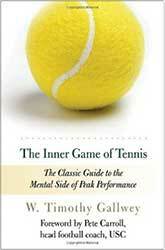 If you play competitive tennis with friends, at your local club, in high school, college or even beyond, then we believe you’ll find a book on psychology and the mental game of tennis incredibly useful to help you elevate your game and win more consistently. 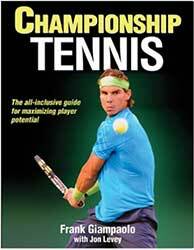 If you’re a tennis coach then having a collection of books that you can easily refer to for inspiration and advice can be incredibly useful. Whether you’re looking to help one of your player’s out of a slump, need a new set of drills to improve your player’s strokes or you’re simply in need of guidance on how to train a player or team, then this section of books is for you. These coaching books are also great for parents who are working directly with their children on improving their game or existing players who are interested in coaching a team or becoming a tennis instructor. Lastly, as a player, you may find these books incredibly insightful to understand what to look for in a coach or private instructor. Tennis conditioning and fitness is easily the most overlooked part of our sport. As an incredibly technical sport, stroke development and technique are often at the forefront of player development. The mental side of tennis often gets quite a bit of attention too, but conditioning and fitness are often completely ignored and it’s a shame. Unfortunately, for most players talent will only take you so far. Tennis has become so competitive and so physical that you need to be in awesome shape to go the distance and hang with other top players. Just think about the top three players on tour over the past few years and names like Rafael Nadal, Roger Federer, and Novak Djokovic are some of the biggest names with incredible physical prowess. When Andy Murray finally took his conditioning seriously it helped transform his game and has helped him incredibly in longer 3-5 set matches. Conditioning and fitness enable your best strokes and ensure you can compete at the highest level over the course of a match. What most players will find is that as they get tired their game slowly diminishes, making it hard to get their feet planted before a groundstroke, to get low for a volley, maintain their form through their service motion and in general their game suffers. In turn, it becomes harder to maintain a positive mental frame of mind, which is crucial in tennis. 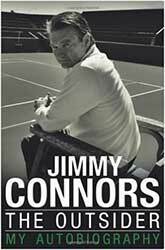 Whether you’re looking to gain a considerable edge over the competition, outlast tough opponents in longer matches or ensuring that you maximize your talent in competition, I’d highly recommend you check out some of these tennis conditioning and fitness books or at least work with a coach with a few copies themselves. The following list is a selection of great books that didn’t quite find a home in our main categories above but they’re absolutely worth including so we wanted to make sure you still knew about them. What do you think about our list? We’d love to hear in the comments below. We’d also love to hear about any books you think should be on our list in the comments so we can continue to improve it with new additions.